The precious commodity of time given by volunteers helps us to enhance and improve the environment, services and facilities we offer as a Trust. Volunteers brighten up everyone’s day. 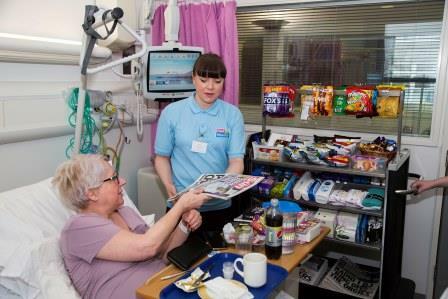 If you enjoy meeting people, running a mini mobile shop and providing a welcome service - whether you are looking to gain experience of the hospital for a career in healthcare or wanting to give something back to the NHS, then this role could be for you.